Although the course may have finished, the exploring never stops – all I need is an excuse. 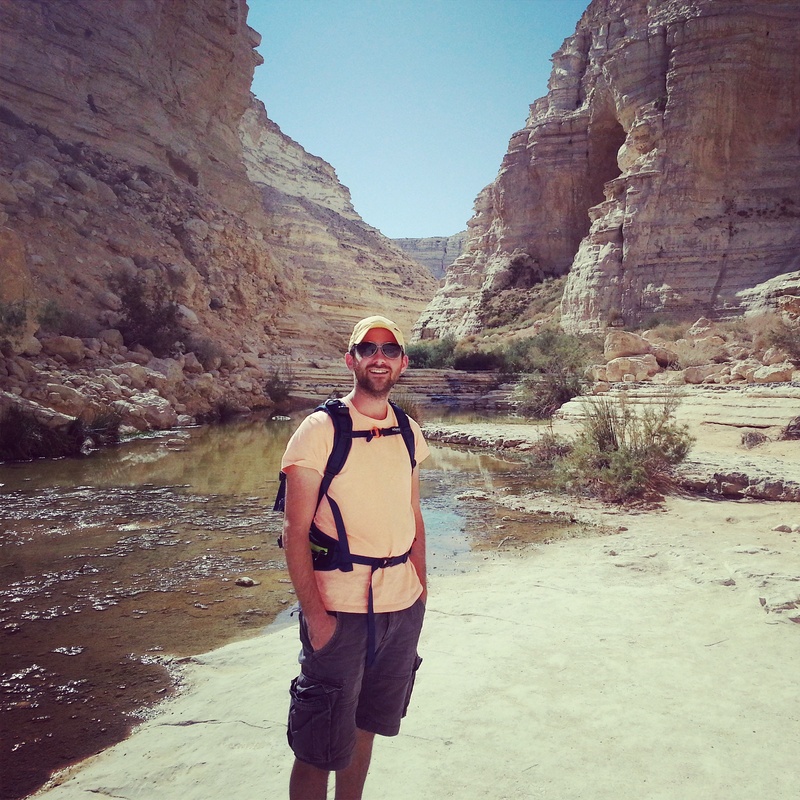 My friend Ben happily provided that when he suggested we go on a trip down to the Negev desert, and I thought that this would be an excellent opportunity to check out a few places that I had been meaning to visit. We began our day at the desert oasis of Ein Avdat. It is a popular hike, because it is quite easy, and utterly beautiful. the combination of the springs with the bleak desert scenery is really very special. Unfortunately, the only way to do the whole hike is by having a car/bus pick you up at the other side (there is a section which is only one way), so we missed out on the very final part of the hike, but we certainly got to enjoy the majority of it. 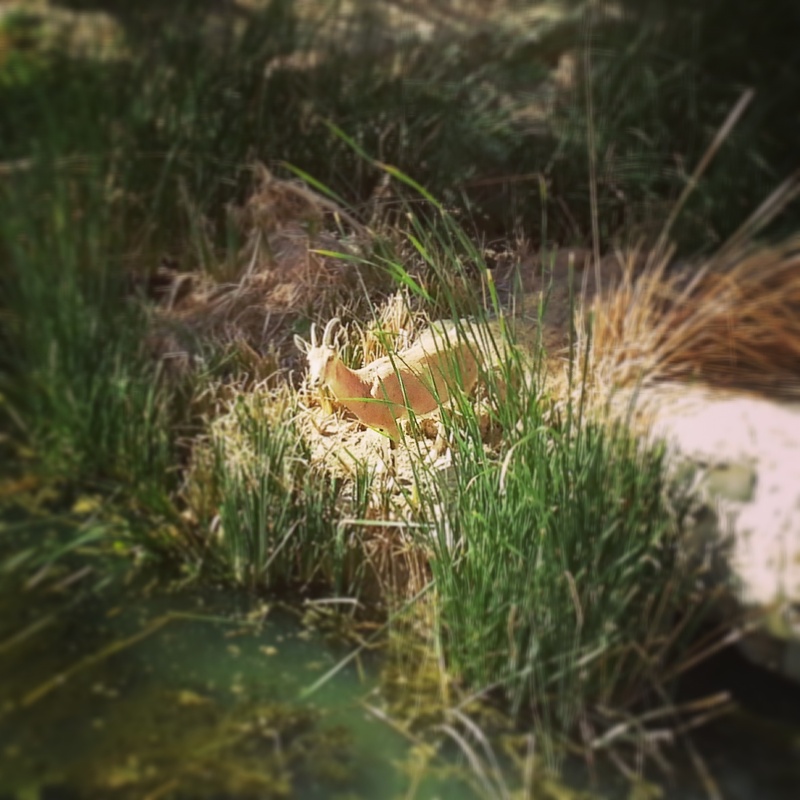 As we were around at a quiet time, we also had the pleasure of seeing some of the local desert wildlife taking advantage of the oasis. There are many ibexes wandering the Negev and the ones we encountered were relatively unphased by our presence. It was wonderful to observe them. Having stretched our legs, we headed up to the nearby Sde Boker Field School, which houses the graves of David Ben Gurion, the first Prime Minister of Israel, and his wife Paula. 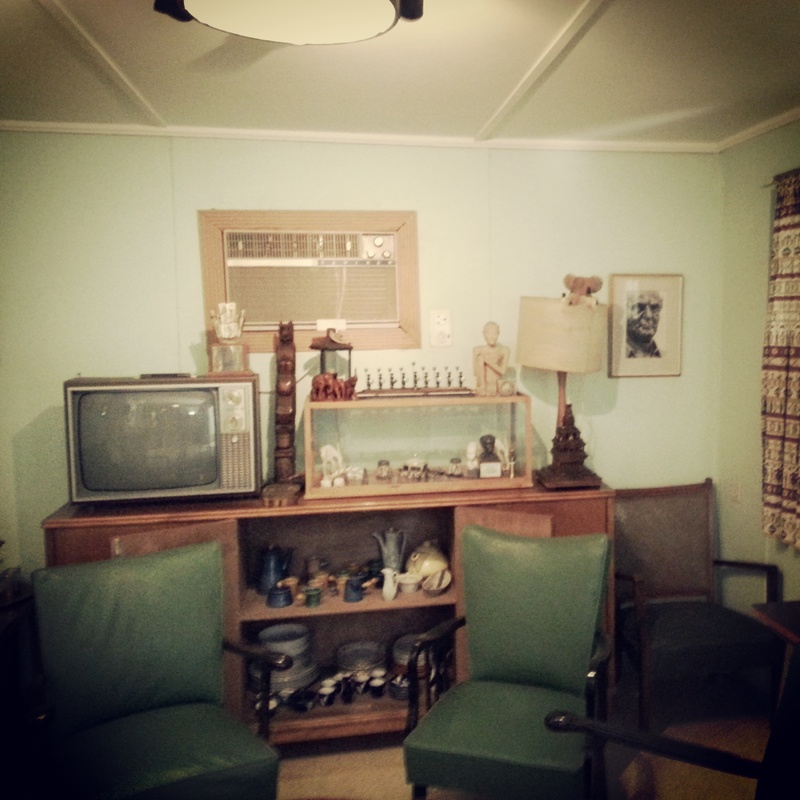 Nearby is the small hut to which Ben Gurion retired, famously choosing to live a life of relative simplicity on a kibbutz as part of his socialist ideology, instead of occupying a grand house which many felt he was due. He also chose specifically to live in the Negev, an area which he saw as the future of Israel; vital that it be developed in terms of agriculture and settlement for the state’s survival. His hut is quaint, kept as it was when he lived there. It is particularly interesting to see the gifts he received from other statesman (having just returned from a trip to Burma where we saw photographs of his visit there, it was touching to see the Buddah he received in a prominent position). The library is also quite amazing, giving you a scope of quite how well read Ben Gurion was, and how many languages he commanded. There is no doubt that he was a very impressive man. Leaving Sde Boker, we popped in to a couple of small farms that were not too far away, both of which specialise in the manufacture of Goat’s Cheese. We particularly enjoyed the Naot Farm which also has options to stay, should you wish to get away from it all. We then headed west as I was keen to check out Mitzpe Revivim, one of the first Jewish settlements in the Negev, in the modern period. 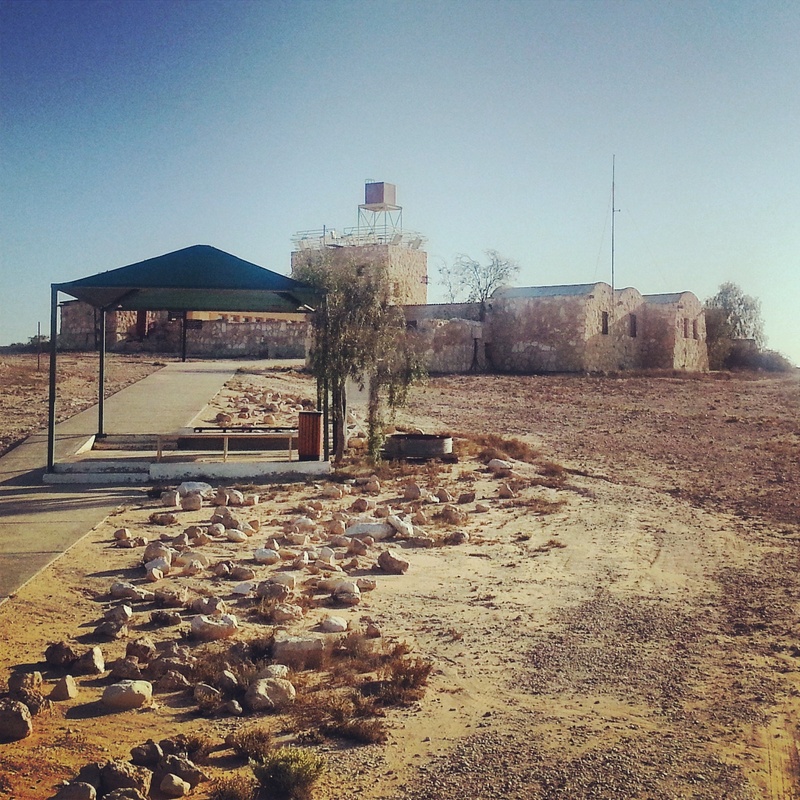 This small agricultural settlement had a significant impact on the Negev being awarded to Israel as part of the partition plan; the stories that accompany it are perhaps more impressive than the buildings which remain (the modern kibbutz has moved slightly away from the original site). We had a bit of time before heading home, so we briefly stopped off at the Besor Hanging Bridge, the Maon ancient Synagogue, and the Black Arrow memorial (read more about these in my previous blog post), before returning to Tel Aviv. It is amazing how close we live to the desert, and it was wonderful to take advantage of it. Thanks, Ben! This week, I proudly graduated from the Taglit-Birthright Institute for Tour Educators. For those not familiar with the Birthright programme, it facilitates a short trip to Israel for young Jewish people from around the world. The mechanics involve some support from the Israeli government, wealthy philanthropists and local Jewish communities, so that the participants themselves do not actually have to pay. Since its creation in 1999, over 400 000 participants have come to Israel through the programme. A few years ago the organisers of the project established the Institute for Tour Educators, designed to improve the quality of the guides who accompany the groups. It offers a full tour guide course, or alternatively a three week seminar for those recently qualified, or a week seminar for experienced Birthright guides. The objective is that in a couple of years, all Birthright guides will have gone through the Institute (the figure stands at about 80% at present). I like the idea of Birthright and am keen to work with the groups; on a more practical level they represent a significant proportion of tourism in Israel (and many of the groups still ran despite the security situation in the summer). I also felt that although the Ministry of Tourism course had given me a great deal of knowledge, it had not really equipped me with many practical tools on how to guide in the most engaging and interesting way. All of these reasons led to me applying to participate in the seminar this summer, and I was grateful to be accepted. We were a small group of around 25, a majority native Israelis but also some immigrants whose origins lay in South & North America and the FSU. I was the EU representative! 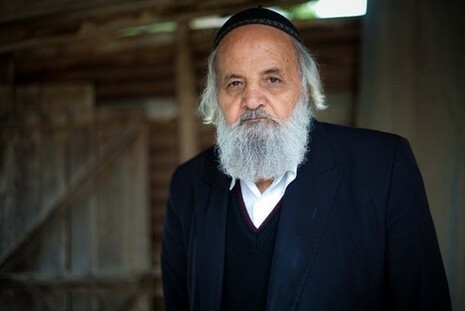 There was a broad range of religious perspectives, from Haredi to ideological secularist; the political spectrum among the participants was also far from narrow. The course consisted of three separate weeks, spread over June, July and culminating just now in September. We covered a wide range of material, from practical advice on logistics and group dynamics, to training on public speaking and leading discussions, to sessions on how to build our guiding around a theme and connect the various sites we would visit throughout the trip into a coherent narrative. I was very pleasantly surprised. Stereotypes about Birthright do exist, but it was great to see that there is no message proscribed from the management at the top that we have to deliver. The way we as guides, or indeed educators, as we are now trained to be, deliver the content is entirely up to us. Indeed there are also no obligatory sites, although for various reasons most of the groups do follow a similar itinerary. The seminar also included a Shabbat together, where we talked about how to manage a Shabbat on Birthright, and experienced one ourselves. It was very interesting to hear and learn from the different perspectives in the group, it was clear that shabbat was a meaningful experience for all of us, but the ways in which it was so (family, prayer, beach or hiking in nature, for example) varied significantly. The nice thing was that all were open-minded to learning from the other, it created a very nice atmosphere. The food wasn’t too bad either! I really enjoyed the seminar. The other participants were great – energetic, thoughtful, passionate people. We will definitely stay in touch and continue to learn from each other in the months and years to come. The sessions were really interesting, and in many cases extremely helpful. I know have many new tools and ideas about how best to show this country to visitors, and to help them engage with it in a meaningful way. On a more personal note, it was a bit like a return to my FZY days, back in the world of informal education. I even had some teachers from my time on the Machon! Not only was the seminar helpful in a theoretical way, it was also great practically. We had the opportunity to meet various organisations that operate the Birthright trips (the central staff does not actually run any of the tours), and I even have my first booking for a Birthright group over the new year. Here’s looking forward to many more! About once a month since we got married, we spend a shabbat in Holon with my in-laws. We are fortunate in that we get on very well, the food is delicious, and best of all, we always get doggy bags that keep us going through the rest of the week! On Friday evening, I always accompany my father-in-law to his synagogue (on Shabbat morning they begin at 7am; I am yet to make it!). He is Yemenite, and I have always found the service fascinating. Broadly speaking, it is the same as any other service, but there are two main differences: nearly every part of the liturgy is chanted out loud in unison; the Yemenites have their own very unique pronunciation of Hebrew (which many believe is the closest pronunciation to the original Hebrew language). A non-yemenite, familiar with the prayer service, but not with the local ‘slang’, as my father-in-law likes to call it, would be a bit bemused on walking in, but once you learn the rules it is actually quite easy to follow; by now I am pretty much at home with the service and am doing my best to adapt my pronunciation accordingly! My father-in-law has a fixed seat in the synagogue, and next to him is a space for my brother-in-law. As my brother-in-law now normally prays elsewhere, this has become my seat when I visit. On entering the synagogue last Friday, I saw a gentleman that I had not seen before in the synagogue, sitting in the seat I usually occupy. He was an elderly, pious looking man, in a long black gabardine and a small black hat; his silver payot (sidelocks) curled in the Yemenite style. Someone must have said something (not us), as he moved, and ended up sitting directly behind me. As we approached our seat, my father-in-law whispered in my ear: “haish hahu tala et Eichmann” (“that man hanged Eichmann”). Adolf Eichmann, the architect of the Nazi Final Solution, was famously apprehended by the Mossad while hiding in Argentina, smuggled back to Israel, and put on trial in 1961. It was a seminal moment in the history of the state, when for the first time the majority of the country really began to come to terms with what had happened in the Holocaust. It was also the first time in Israel’s history that a death sentence was actually carried out (in other cases it has been ordered but cancelled on appeal). I vaguely remembered hearing that they had selected a Yemenite to perform the execution. This was in order to avoid any hint of this being revenge, as opposed to justice. Too many of the European and even North African Jews living in Israel were affected personally by the Holocaust, but the Yemenites were not. It was remarkable to think that this diminutive man sitting behind me had been responsible for the death of this most famous criminal. Even if I had wanted to forget about this during the service, it was not possible. The vast majority of a Yemenite liturgy is chanted aloud, in unison, and often in a loud voice. I kept hearing his voice, with a very strong Yemenite accent, sounding in my ear. I kept being reminded of him, and thinking about what he had done. Thinking about the morality and virtues (or not) of capital punishment. Thinking about Eichmann and the horrors he perpetrated. Thinking how it must have felt to carry out this sentence. The service broke for the rabbi’s sermon. The weekly Torah portion mentioned the obligation of a man witnessing a murder to bear witness against the perpetrator. He suggested that part of this was a sort of catharsis for the witness who had seen a terrible crime, as well as the need to bring justice. He began speaking about the large amount of violence in modern media, both theatrical violence in film and TV dramas and real violence on the news or available in the latest ISIS broadcasts. He argued that by watching this violence, one is like a witness, and one needs to cleanse one’s soul somehow. I could not help thinking about the gentleman behind me, and what he had not just witnessed, but actually done. I was not the only one; a fellow congregant began to rib him, asking him how he had cleansed himself of what he had witnessed. I felt so sorry for this poor man. Fortunately, other congregants stepped in and ordered that it came to an end. But I could still hear the old man behind me, muttering “there were three witnesses”, as if somehow the shared burden made things easier. It was heart-wrenching. The service concluded, we stood up to leave. Our new friend was still busy praying, reading the aleinu prayer which they do not normally recite in this synagogue. He shook my hand as we left, wishing me a “Shabbat Shalom”; the hand which shook mine was no doubt the hand that ended Eichmann’s life. It was a bizarre experience. I was filled with pity for this man, who is famed for performing this most terrible of deeds. And yet there was something about his demeanour which was just so pure; his dress, his side-locks, his extra prayers, his elderly cracking voice escaping the gaps in his teeth. I was excited to have met this man who was a part of history, and desperate to question him on it, yet aware that this was far from the time or the place. I was horrified by the thought of what had happened. After Shabbat, with the help of Google, I learned a bit more about Shalom Nagar. It seems that he has come to terms with his past and lives a happy, uncomplicated life. If you are interested, you can read an in-depth interview here. In Israel, it so often happens that what would appear to be an entirely normal evening ends up being extraordinary; thought-provoking; somewhat emotional. It never ceases to amaze me. The Israeli tour guide course is long, intense and covers a huge amount of information. However, it can’t possibly cover everything, so there are still parts of the country for me to explore, and I take great pleasure in doing so! 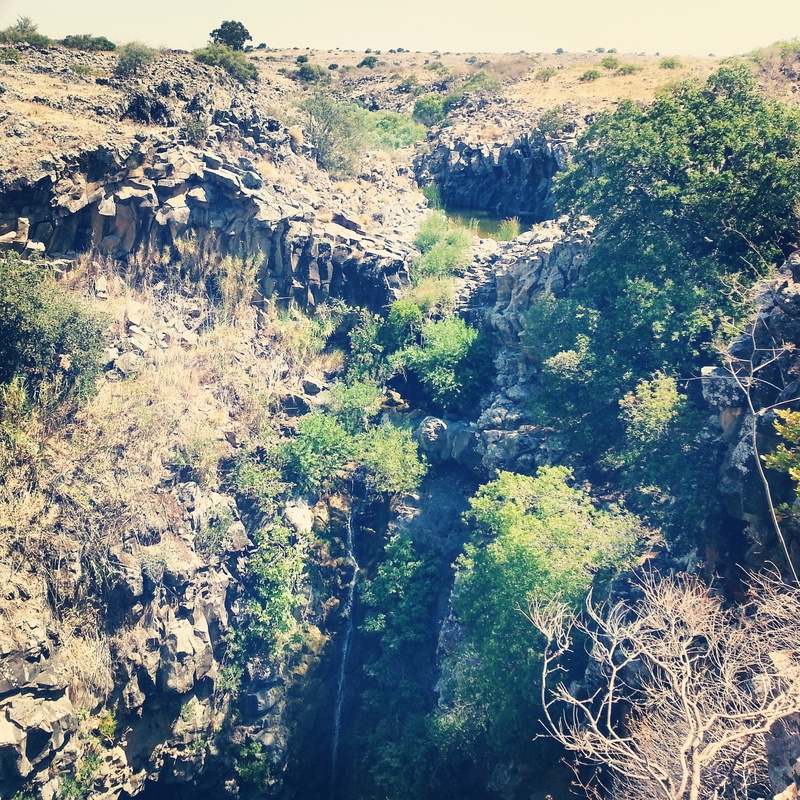 A reasonably important one is the area of the Yehudiya Nature Reserve in the Golan Heights. There are many trails here and unusually for Israel all of them have water all year around, which is great when you are looking to cool off in the heat of the summer. With a friend arriving who has a passion for hiking, it was a great excuse to get up north to the reserve. I picked him up from Ben Gurion Airport at 6.45am and just two hours later we were slapping on our sun cream as we prepared to hike around the upper part of the Zavitan stream, a particularly popular trail that I shall definitely need to know for the future. As we set off, we were somewhat unimpressed by the lack of shade (with the sun already beginning to reach high temperatures. However, we soon began to reach some pleasant little creeks which provided some respite. 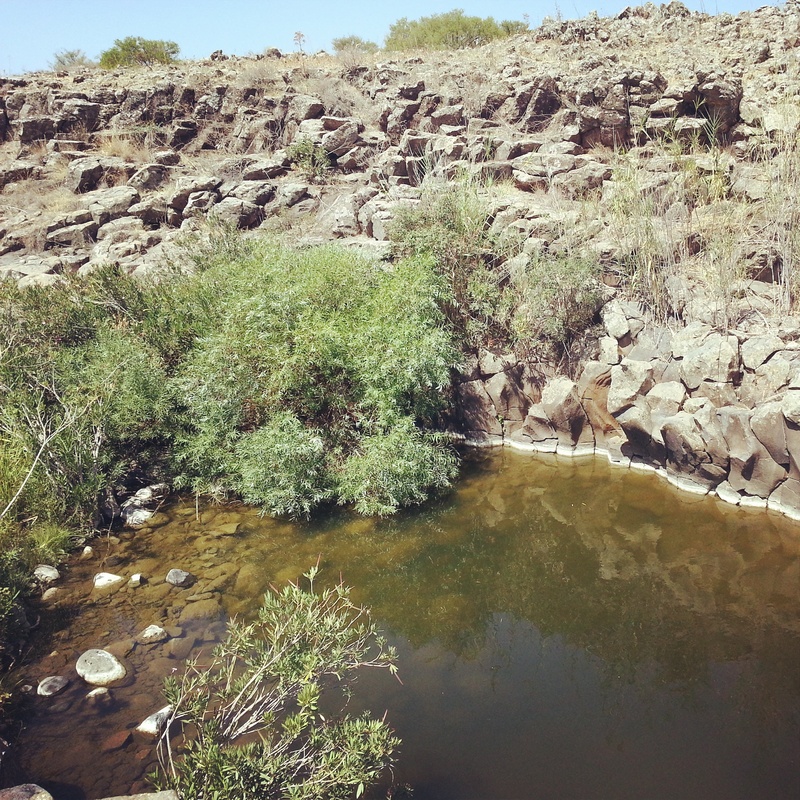 Continuing further, we hit the real attraction, a series of pools surrounded by basalt columns that are in various stages of erosion. The columns, caused by physical forces at work in the cooling of lava when the basalt was formed, exist in quite a few parts of the Golan, most famously at the ‘Hexagon Pool’, a little north west of us in the Yehudiya Reserve. The site was crowded although we still found some space for a quick dip, and then continued down-stream where we found a smaller but undisturbed pool which was much more peaceful and to my mind rather more beautiful. Continuing down the trail led us to a lovely view of a waterfall, although no doubt it is much more impressive after the winter rains. It was possible to descend down to the waterfall and bathe in the pool into which it plunged (probably less appealing after the winter rains!) and there were plenty of people taking advantage of this opportunity to cool off. 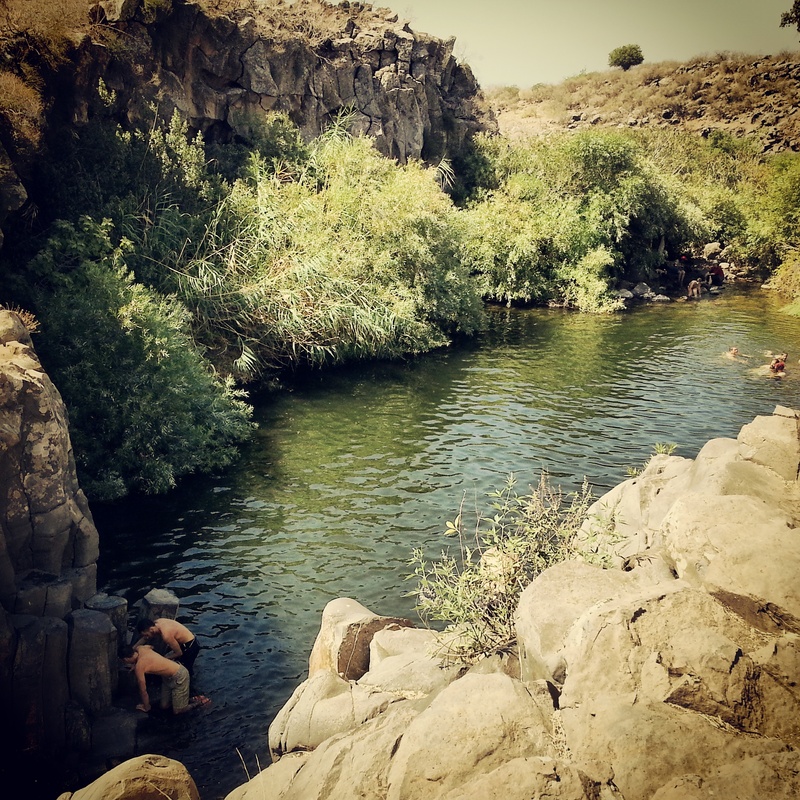 All in all, a very pleasant option for a short hike in the Golan, while incorporating some opportunities to cool off in the stream. 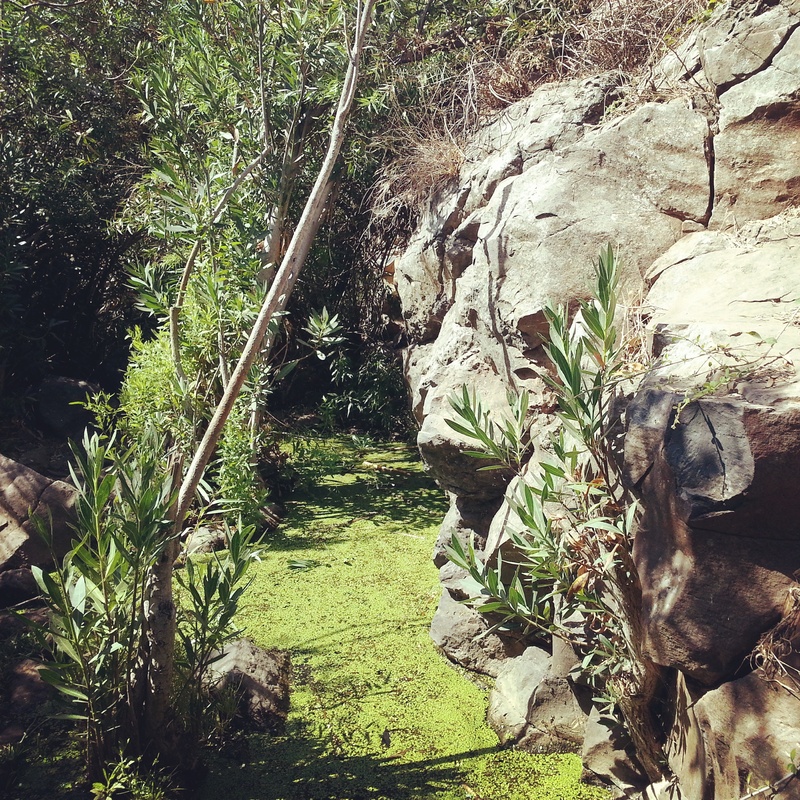 I am sure I will be back in Yehudiya before long to explore some of the other trails, including the water hike! As I mentioned last week, the oral exam, the final stage in the qualification process to become a licensed tour guide in Israel, is a pretty grueling experience. I was reasonably fortunate with the questions thank goodness. The ones that I can remember are below, in case it is of interest! What is unusual about the synagogue in Zippori? Why is it built like that? What does this tell us about Zippori in the Byzantine period? What were the reasons for the blossoming of Tzfat in the 16th century? Tell me about Alexander Zaid. How do you do a check-in at a hotel? What is a rooming list? What sort of information is on it? At check-in, a tourist complains that they had requested a single room and have not received one. What do you do? What are the borders of the Golan? What type of rock can you find there? How was the Golan formed? Where else can you find basalt in Israel? Is there any advance procedure you need to do in order to visit the Hermon with tourists? I will give you years and you will tell me who was in control of the Hermon: 1950, 1969, 1975. What happened on the Hermon in the Six Day and Yom Kippur Wars? Give two reasons for the importance of the Hermon for Israel. Give me an itinterary for a day of Jewish sites in Jerusalem – dedicate the morning to ancient and religious sites; the afternoon to the modern period. Describe the first Jewish neighbourhoods to be built outside the Old City walls of Jerusalem: names, order and characteristics. You are standing at the top of Herodion. What do you see (that is connected with the site)? From what period is the synagogue at Herodion? Is there a difference between Maresha and Beit Guvrin? What do you see at Maresha? You are standing at the grave of David Ben Gurion. What valley do you see? Tell me about David Ben Gurion. How do you explain the current security situation to the tourists? Why are rockets being fired at Israel? What happened yesterday in the Jewish calendar (it was Rosh Chodesh Av)? What is this period in the Jewish calendar called? A group in Jerusalem wants to visit sites where you can see physical signs of the destruction of the First and Second Temples. Where would you take them? What is the history of the Egyptian border? Now that I have passed my exams, I decided that it was time to give the website a refresh, moving it from a focus on the blog to being more appropriate as a page for people to come to when searching for a tour guide. The blog is still here and I shall continue to update it while I explore the country (there are always new places to see and discover) but I have created a new landing page, updated the about section (including the details of my guiding philosophy) and have included a series of testimonials that I have received from previous participants in my tours. The new design also automatically adapts to different size screens (for example a laptop vs a telephone) and in general looks a lot cleaner. I hope that you like the new site and would welcome any comments and feedback! The tour guide Oral Exam. I can’t remember pressure like this. I definitely felt under pressure for my university finals; for my A-levels and GCSEs, but there was something different about this exam. It was worse even than the written exam I took back in June. There is something about written exams. You can strategise; it is as much about technique as anything else. Making sure one finishes on time. Maybe one can avoid studying all the material and still be able to answer effectively. The oral exam offers nowhere to hide. Sitting in front of you are four qualified and experienced tour guides, one of whom is also an travel agent, and you have only 30 minutes to impress them. And not just with your knowledge – they are testing you on your ability to be interesting and engaging, eye contact, posture, intonation etc. The exam begins with you giving them a printed sheet of a tour itinerary that you have planned; then you have a chance to present for about 5 minutes one of the places you will visit on the tour, as if you are guiding them. So far, so good – you can prepare this and hopefully get off to a good start. Then starts the fun. They begin to ask you questions on what you have just guided, then the day you have planned, and then the questioning broadens to cover potentially absolutely anything. You need to know the geology, geography, flaura and fauna of the whole country. Add to that the entire history from the day you are being examined (some questions are on current affairs) until prehistoric times; all the different sites including the history of their walls and water sources….it gets very tough. On top was a sense of added pressure. It is possible to retake the exam, but only in 6 months’ time. So, if I failed, I would be unemployable for a minimum of six months. And after nearly two years as a student (with some part time work here and there), it would be helpful to work towards a more positive trend in the bank account. I was not helped by the current security situation in Israel. After a few days of quiet in Tel Aviv, Hamas decided to fire a rocket in our direction. Not only that; it was at 2.30am – the first time we have had to wake up and head for the protected space in our pyjamas. With the extra nerves of the exam, I did not have the best night’s sleep. 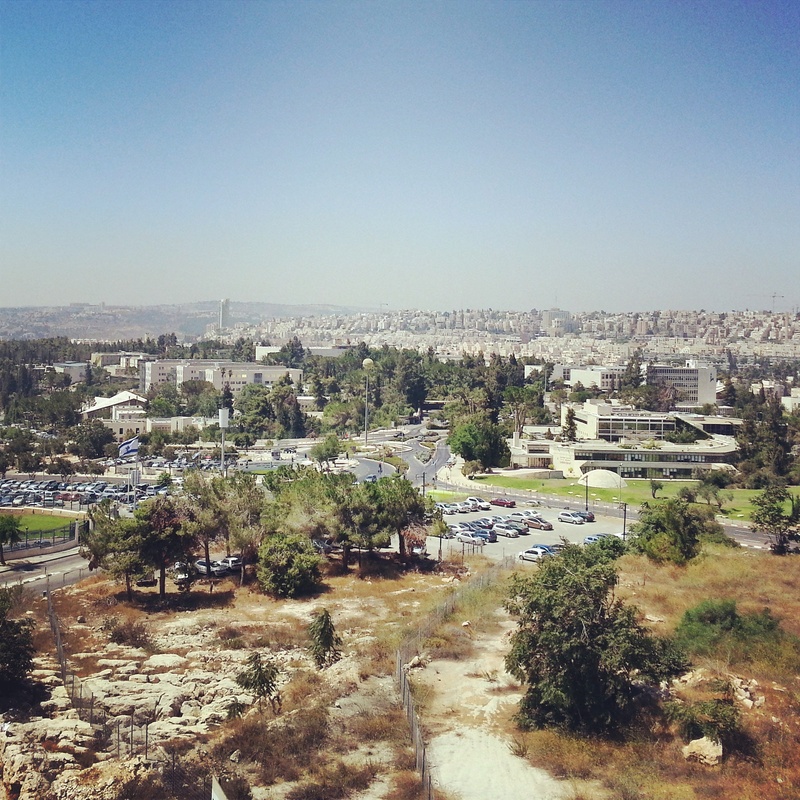 I arrived at the Ministry of Tourism and briefly enjoyed the lovely view of Jerusalem from the balcony on the top floor, next to the examination room. My course coordinator was waiting, and helped keep me calm during what seemed to be the interminable wait to get in the exam room. I entered, exchanged pleasantries, and began my pre-prepared piece on the mosaic floor of the ancient synagogue of Zippori. So far, so good. Then came the questions, which at some point soon I will publish in a separate post (at least what I can remember – there were many!). The beginning was ok, with a slightly rocky section as one of the examiners decided to quiz me on various of the lesser known kabbalists (he was soon taken off this route by the other examiners). I was then able to get into my stride. I was reasonably fortunate with the questions to be honest. By now nearly all of my course-mates had taken their exams, and in the collaborative spirit that accompanied us throughout our stuides, they had been sharing with the group the sort of things they had been asked, in order to help us prepare. Apart from a few exceptions, most of our group had received challenging but reasonable questions, and for me it was the same. Nothing too horrid, fortunately. And then it was all over. Time for that very nervous wait for the results, although fortunately, unlike the written exam, where we were waiting three weeks to hear, this was all over much more quickly. By lunch time, I had received a text message from my course coordinator, containing a single, delightful word: ‘avarta‘ (you have passed). I cannot describe my elation! Someone passing me in the street was so intrigued that he asked what had happened, before congratulating me also. I concluded my morning in Jerusalem by taking my long suffering wife (who has loyally allowed me to practice on her, and has spent hours firing questions from past exams at me when she would rather be doing a million other things) for a light lunch. Walking into the cafe, whom did we bump into but the hadrachic legends Steve Israel and Jeremy Leigh, who had taught me 12 years previously when I was a student on the Machon L’Madrichei Chul (Institute for Youth Leaders from Abroad) programme. This remarkable coincidence seemed somehow appropriate; a closure to a loop that began on the Machon, continued with various voluntary positions I held as a student and my sabbatical role at FZY, diverged for a while with a very enjoyable 5 years at P&G, before returning to this world of hadracha. Now that the hard work of the studies has been concluded, it is time to find some employment. Now is not the best timing – the current security situation has been severly detrimental to the tourist industry. Fortunately I am not really available to work for a while – but bookings from November onwards are now open – be in touch! You must build an itinerary in the tables provided. Please fill in the relevant information in the table cells only! All activities during the two days of the tour will be guided personally by you. For example, if a group visits a site which normally provides a local guide, you must specify the subjects to cover and provide the guiding. Each day of the tour ends upon arrival at dinner at 19.00. 5 ) Accommodation at Hostels / Field Schools / Country Lodging / hotels at all levels – your choice. The lodgings should match the group. 6 ) You should assume that your trip takes place in a time of no security concerns so you can include sites in the West Bank. 7 ) All tours take place in May. They begin on Monday at 8:00 after breakfast and ending on Tuesday at 19:00 before dinner. 8 ) At least 80% of the tour program must be related to the topic. You must choose one point from the itinerary and expand on it. You should not exceed the one page provided for this purpose. The expansion point must be made at a site not from the bus. Viewpoints will be disqualified . The expansion point must be connected with the main topic of the group (eg archaeology students who want to visit archaeological sites in the country – the expansion point must be related to archaeology, even if you have incorporated into the itinerary other sites and subjects). A group of students from a theological institute abroad interested in synagogues of the Jewish settlement in the northern part of the Land of Israel, from the Second Temple period to the present. The tour departs from Katsrin on Monday at 8.00 and ends at a hotel in Akko on Tuesday at 19.00. A group of French pilgrims interested in a pilgrimage tour in the footsteps of Crusaders in the Land of Israel, from Caesarea to Jerusalem. The tour departs from Caesarea on Monday at 8.00 and ends in Jerusalem on Tuesday at 19.00. The northern limit of the tour is from Caesarea to the east and it should not deviate farther north. There are no other geographic limits. A group of Israeli tourists interested in human heritage throughout history in southern Israel. The tour leaves Ashdod on Monday at 8.00 and ends at a hotel in Mitspe Ramon on Tuesday at 19.00. The northern limit of the tour is the Ashdod line and east of it and it should not deviate farther north. The southern limit is the Mitspe Ramon line and the tour should not deviate further south. The first day of the tour will cover the area between Ashdod and Be’er Sheva. The second day will be from Be’er Sheva to Mitspe Ramon. The tour must include sites from at least three different periods. The expansion point must be related to the tour theme. Many readers of this blog, and friends, have asked me about the details of the examination to become a tour guide. The exams are held twice a year by the Ministry of Tourism, and are in two parts. First is the written exam, taken by hundreds of candidates simultaneously in Jerusalem’s International Convention Centre. The written exam itself consists of two parts. Part A is a series of 50 multiple choice questions testing your knowledge of history, geology, geography, flora, fauna, religion, politics and culture, and lasts for one hour. It is worth 30% of the exam. After a short lunch break, you return for Part B, a grueling three hour marathon where you have to build an itinerary for one of three groups, fill in a table with details of timings, logistical points (payments, toilets, advance reservations etc) and the outline of your guiding. A whopping 20% of the marks for the exam are awarded for an ‘elaborated point’ in this section – you choose one part of one site in your itinerary and write a full page of A4 with exactly the text as you would guide it. For Part B, you are allowed to bring in a map of Israel, but the rest has to come from your memory. Assuming you hit the 65% pass mark (and many don’t) in the written exam, you are then invited to a 30 minute oral exam in the Ministry of Tourism offices. More on that to come! Having now taken (and passed – hurrah!!) the written exam, I feel happy to share some details of what I went through. For now, I have uploaded Part A of the written exam (the multiple choice) I took for you to test yourselves and see whether you might be able to qualify as a tour guide in Israel! If you are interested in Part B (the itinerary), keep an eye on the blog and I shall post it next week. Please select and answer no more than 45 [although in this online version you will have to answer all of them I am afraid!] of the 50 multiple-choice questions below. Select the most correct answer. Each correct answer is worth 0.66 points. Wow – an incredible result! Are you a licensed guide? A very solid performance! Keep it up in Part B of the exam and you are well on the way to getting your licence! Not bad for a beginner! Keep it up in Part B of the exam and you are well on the way to getting your licence! 65% is the pass rate and you are making it through by the skin of your teeth. Get a solid result in Part B and hopefully you will get your licence! Not really good enough…65% is the pass rate. Maybe you can get a great result in Part B and still pull through? Back to the drawing board I’m afraid! With which region in Israel is modern olive oil production associated? On which type of rock is Tel Aviv built? Which of the following can be found in the desert? Where can we show tourists evidence of volcanic activity? According to the Bible (Old Testament) which of the following prophets was active at the time of Sennacherib’s march? Where can tourists see a remnant of the aqueduct that transported water to the Temple Mount? For which emperor was Caesarea named? Who is believed to have been buried in Beit She’arim? Where can remains of Umayyad palaces be found? In which compound were the Maria Grande and Maria Latina churches located in [sic]? During which period was the institution of the waqf established? NB: this question was disputed – it may have been before the Mamluks. With which aliyah was the beginning of modern Jewish settlement in the Yizre’el and Harod valleys primarily associated with? Where is the closing ceremony of the Holocaust Remembrance Day held? Which of the following paratroopers from the Yishuv in the Land of Israel fought against the Nazis in Europe? What is an ‘optional tour’? Which sacraments to Protestants have? What is the subject of the ‘Prawer Plan’? Which of the following is associated with the tradition of Mount Precipice? Which of the following mountains is the highest? During which period is the name Haifa first mentioned? The origin of the ‘Kisui Sands’ is probably? NB: this question was very controversial – arguably none of the answers is really correct! Still, the most correct answer is the first one.